We’re hosting our AGM at MERIT Brewing on April 25th! 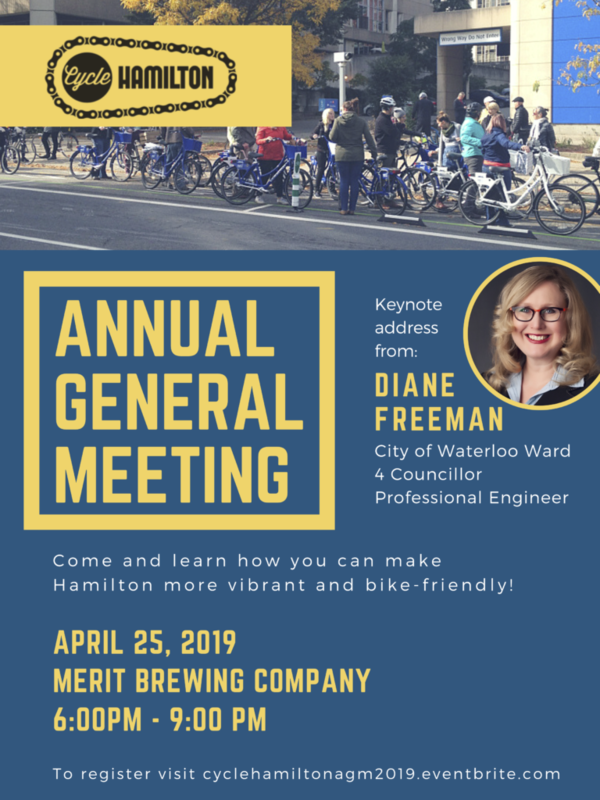 Join Cycle Hamilton on Thursday, April 25th at 6:00pm at MERIT Brewing for our 2019 Annual General Meeting… our most important event of the year! This is an opportunity for everyone in the Hamilton community to meet members of the Cycle Hamilton team and learn about the advocacy work we are doing! We will provide some updates from the previous year and share plans for moving forward. 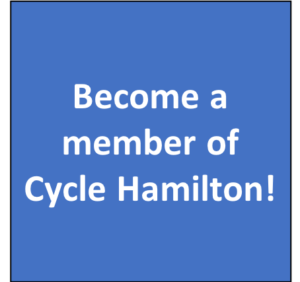 Whether or not you are already part of the Cycle Hamilton community, you are invited to attend! We will provide updates from the previous year, present projects underway, and engage in table discussions about how we can make Hamilton more bike-friendly. Social hour will begin at 6:00 for informal networking, socializing, and refreshments. The official AGM events will kick off promptly at 7:00. Speakers will include current Cycle Hamilton co-chairs, as well as a keynote address from Diane Freeman, Ward 4 City Councillor in Waterloo! Interested in attending? Click here to check out our Eventbrite page for more information and to RSVP. The event is child-friendly, so feel free to bring your little ones. Light refreshments will be provided. Additional food and beverage will be available for purchase throughout the evening for those who are interested, including options for dietary restrictions (vegetarian, vegan, gluten-free) & non-alcoholic drinks. ← Join us for our March meeting on Monday, March 25th!